This protein contains a proprietary hyper-purified whey matrix that provides a steady dose of premium whey and micronized leucine throughout the day to help support muscle growth and recovery. Take the Pre-Workout 5-20 minutes before exercising to support increases in focus, energy and endurance for a more intense workout. Add 1-2 servings per day of the Whey Formula to boost protein intake. 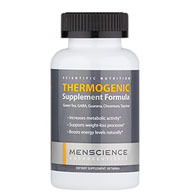 Take the Thermogenic Formula with the first meal of the day coupled with a healthy diet and regular exercise to increase calorie-burning by boosting energy and metabolism. 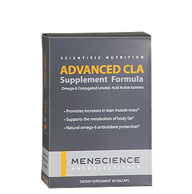 Take the CLA Supplement to support increases in muscle growth and decreases of body fat. What is the difference between whey concentrates, whey isolates and whey hydrolysates? When should I take this men's nutritional product? Can this be taken every day? Whey protein is a protein made from cow's milk that is commonly taken as a dietary supplement. Whey protein contains all essential amino acids, which are needed for protein synthesis and optimal muscle growth and recovery. Whey protein is all-natural and absorbed faster by the body than other proteins, including soy and casein. All types of whey protein help build muscle and drive anabolic processes within the body. The main difference between the different forms of whey is purity. Whey concentrate is the least pure form of whey available, containing anywhere from 30% to 90% of available protein; it is also higher in fat and lactose than other forms. Whey isolate is whey that has been processed to lower fat and lactose content, resulting in higher purity as well as better overall absorption. Hydrolyzed whey has been predigested, eliminating virtually all fat and other secondary nutrients for the purest experience. You can take whey protein anytime as a supplement to your daily diet. Use it as a snack or to replace one of your meals. For optimal pre-workout and post-workout nutrition, consume Pre-Workout Training Booster Formula and Post-Workout Accelerated Recovery Formula instead. Yes. This men's nutritional supplement can be taken every day to help reach your daily protein requirements. Do not exceed 1-2 servings a day. This is a great product. Not only does it taste better than other whey proteins, I am also starting to see results. Plus it doesn't sit heavy in your stomach like other proteins. This product is decently priced as well. I just started to buy Whey Formula Advance Protein Complex and I seeing the result of having it every time when I workout. In addition, the vanilla flavor tastes so good. Keep my body change over weeks, more muscle showing and less fat. Very good. This is by far the best whey protein I've ever purchased. Best bang for the buck and tastes very good too. the best tasting protein and a real winner! Well done mensscience! this is the best tasting protein drink I've tried, just mix it with cold water and use less water than the label says. Just started taking this and it has really helped my workouts. Add two scoops to 4-6 fl. oz. of cold water, milk or juice and mix until dissolved. Can also be mixed into your favorite shake. Use 1-2 servings per day to complement healthy eating and sufficient hydration. Use as part of the MenScience Scientific Nutrition Program for best results.